﻿ The Lancaster Playhouse - Ohio. Find It Here. 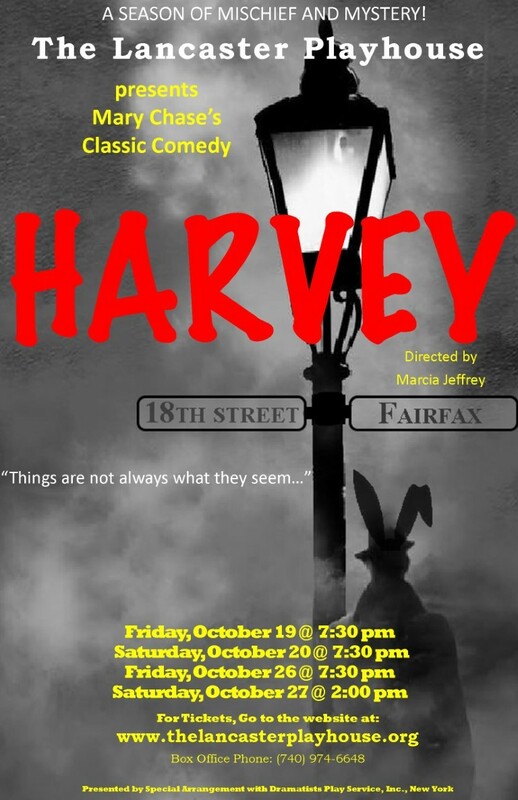 This local community theatre is entering its 4th season in 2018 with a season of mischief and mystery. Offering a 3 play season this year with Harvey, Deathtrap and Clue the Musical.OUR MISSION The Lancaster Playhouse has been created with the enthusiastic mission of expanding community theatre as an enriching experience through the creativeness of actors and vision of directors; by production participants devoted to set and costume design, publicity and numerous areas of the theater experience; and with audience entertainment, stimulation, acceptance and support.The Lancaster Playhouse is a 501c3 non profit organization which is enthusiastic about the arts and offering area residents the opportunity to engage or renew their love of theater. By hosting open auditions, the Lancaster Playhouse gives all who are interested the opportunity to explore the theater. For those who would rather work out of the spotlight TLP can make opportunities available to those who want to construct sets, work and invent props or stage a period piece with costumes.